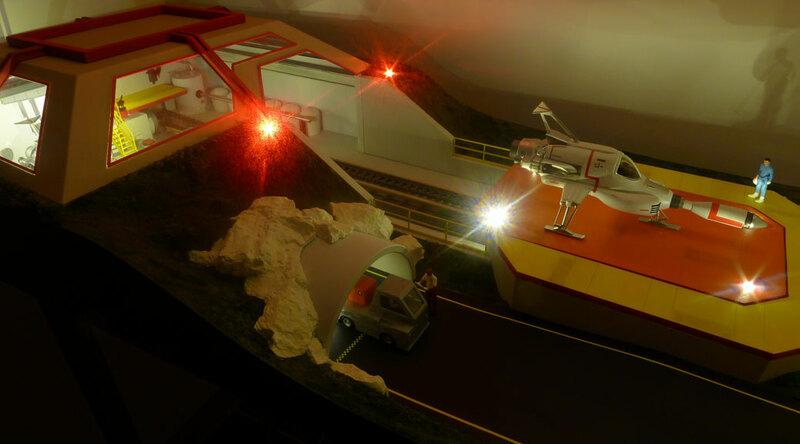 This conceptual diorama is based on the 1970s TV show UFO, showing my design for SHADO Yards, an earth-based assembly facility where the Moonbase Interceptors were built. 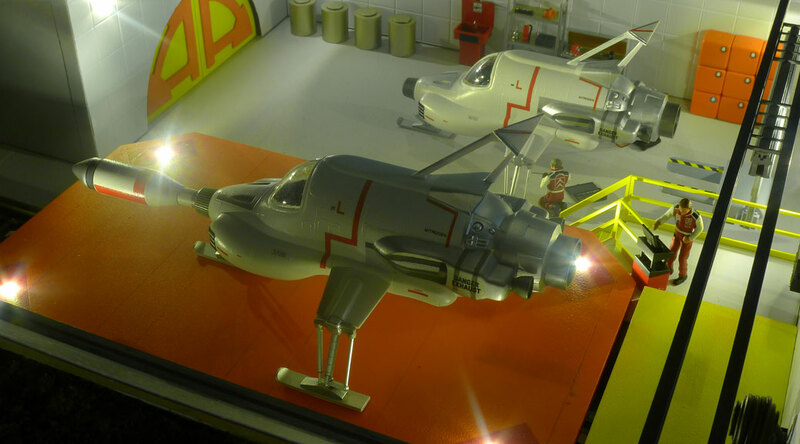 The Interceptors are original Bandai injection molded kits (scratchbuilt interior and missile) and the figures are white metal. The cargo truck is a kitbash of an aircraft carrier tractor. Everything else is scratch-built. The finished Interceptor is lifted onto the launch pad with a gantry crane and moves on rails to the launch position. The launch pad is powered by a low rpm electric motor on O gauge track, using gears and sprockets from a robotics supplier.